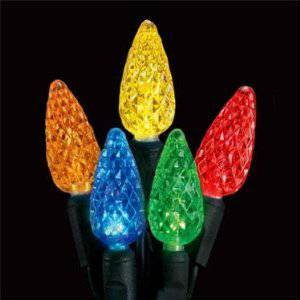 C6 LED strands are also know as strawberry or cone shaped lights. These strands have a sealed light system made by using injected molded sockets. The sealed system prevents bulbs popping out and water from entering the socket. These lights do NOT have replaceable bulbs.